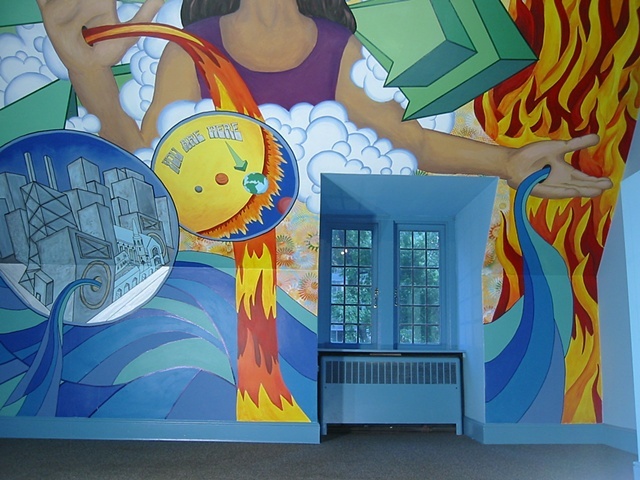 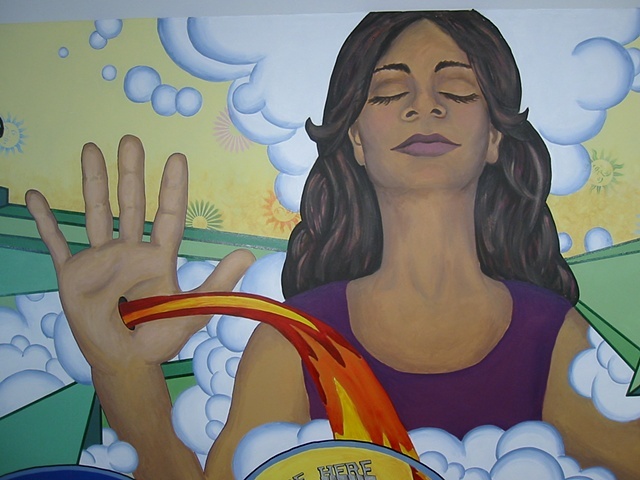 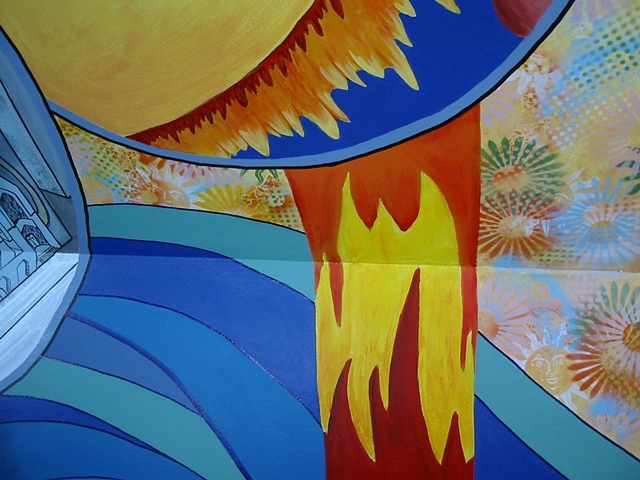 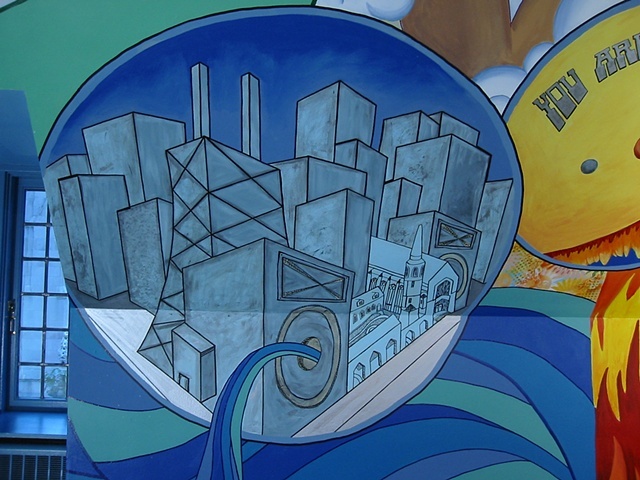 This 330 square foot mural was created for the youth ministry at the historic Fourth Presbyterian Church, located downtown Chicago across from the John Hancock buiilding at Water Tower. 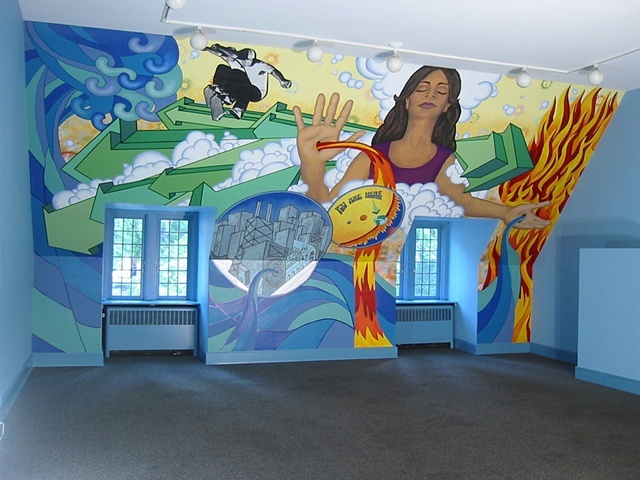 The room is the "Crow's Nest", a lofted youth space on the top floor of the church where weekly programs and groups meet. 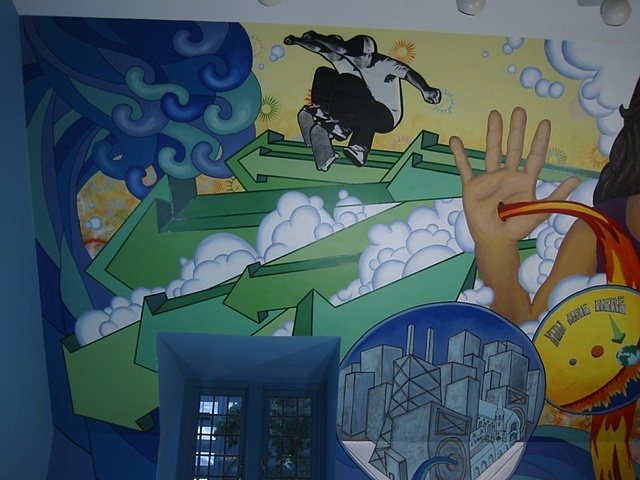 The mural was created over the summer of 2006. 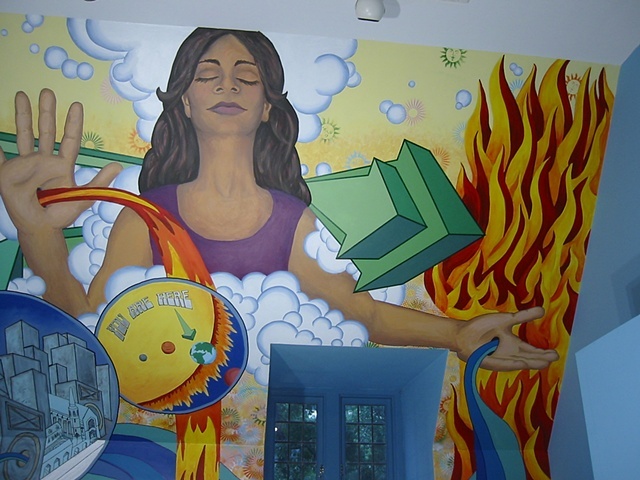 With the teens, we first conducted design workshops in June, inspired by spiritual texts on themes of growing up, making choices, taking risks, and self-reflection. 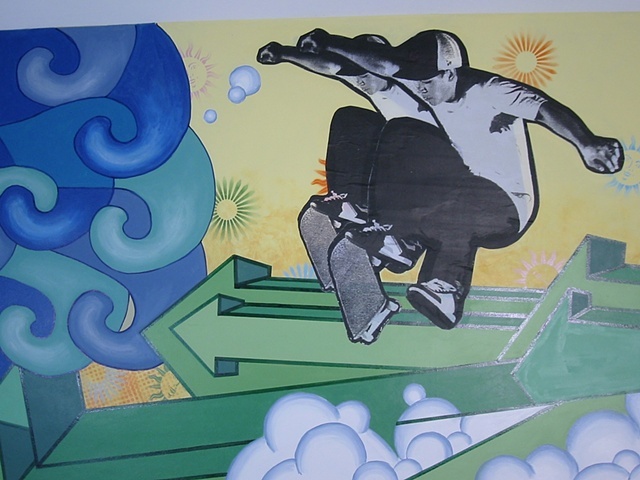 Those initial ideas provided the basic structure for the design that Dustin and I devised independently in July. 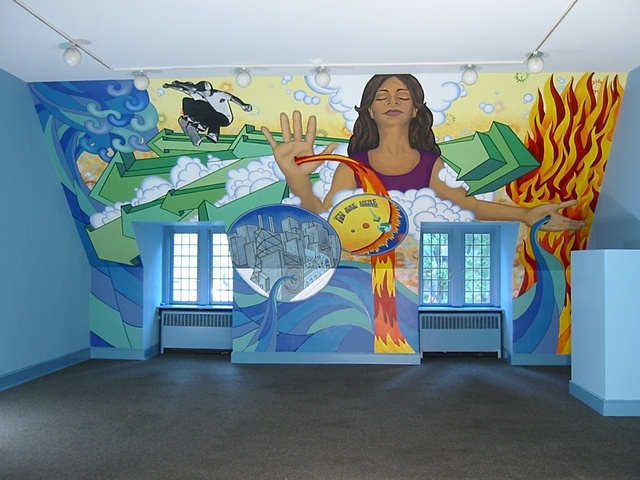 Finally, we returned to paint the mural with the teens in August, where we collaboratively completed the project.